When talking about Ylang ylang, we immediately think about dizzying perfumes and fragrances from fare tropical island…but very often we don’t have any idea how marvelous is ylang ylang for our beauty…naturally! Its sweet and voluptuous fragrance, thanks to its olfaction properties, it will bring you joy and sensuality. It is well known to be a powerful toning up and aphrodisiac, this oil is used for decades to act on depression and irritability. ♥♥It is used for decades by women to help against cramps and spasm (digestive and during period), in this case it is great to use it in synergy with petit grain essential oil. Use your blend by gently rubbing the aching area, the essential oils will penetrate through your skin into your blood stream. ♥It also have hypotensor benefits (calming down stressed persons), in this case the synergy with lavender essential oil is perfect. ♥This oil will have a calming effect on stressed persons, in this case, having a relaxing bath with a blend of synergic oils: ylang ylang, cedar wood and geranium, will relax you and help you to find a balance in your wellbeing. 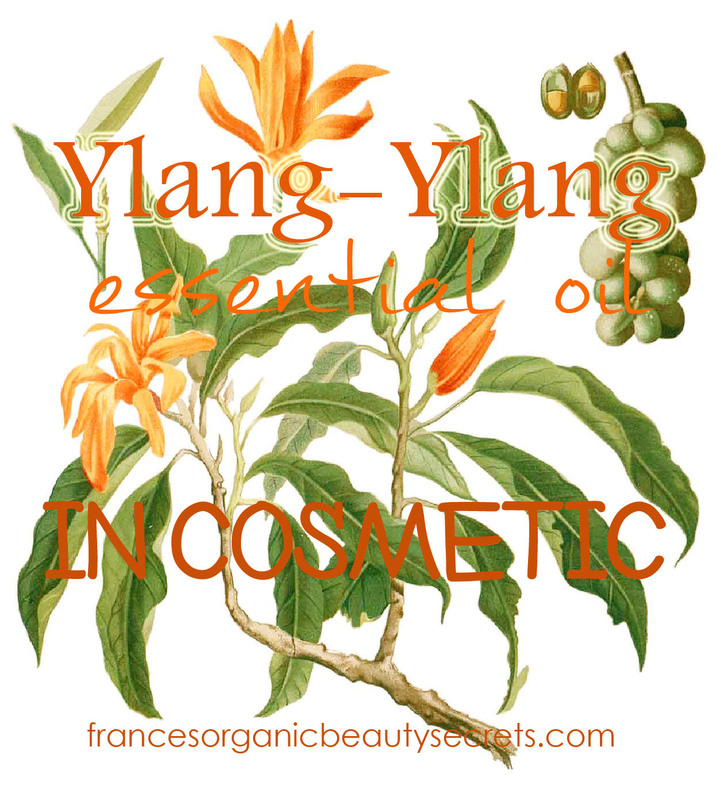 Ylang ylang essential oil can be added in any day or night cream, you can compose your own natural fragrance with ylang ylang essential oil, it can also be added in your homemade shampoo formula for healthy and shiny hair or in your shower gel to regenerate your skin. This is the perfect essential oil for a gift…or to seduce your Valentin!!! You are very welcome….this is my pleasure to write about these topics….I am glad you enjoy it! Reblogged this on naturalcosmetic ltd..